Definition at line 2992 of file CCopasiXMLParser.h. 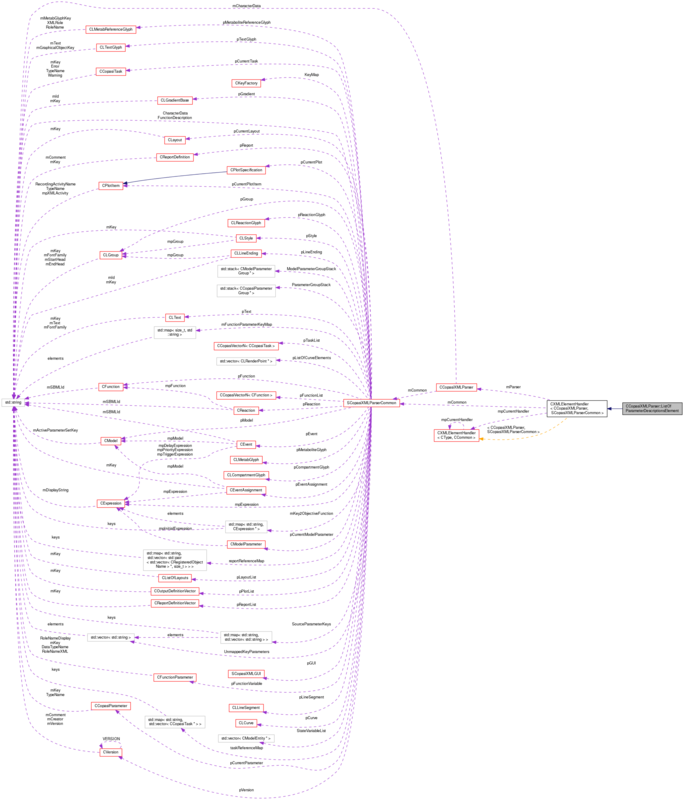 Definition at line 2999 of file CCopasiXMLParser.h. Definition at line 1338 of file CCopasiXMLParser.cpp. Definition at line 1343 of file CCopasiXMLParser.cpp. Definition at line 1393 of file CCopasiXMLParser.cpp. References C_INVALID_INDEX, CCopasiMessage::EXCEPTION, CCopasiObject::getObjectName(), CFunction::getVariables(), CCopasiXMLParser::mCommon, MCXML, CExpatTemplate< CExpat >::mParser, SCopasiXMLParserCommon::pFunction, CFunctionParameters::remove(), CFunctionParameters::size(), START_ELEMENT, CFunctionParameter::TEMPORARY, and UNKNOWN_ELEMENT. Definition at line 1348 of file CCopasiXMLParser.cpp. 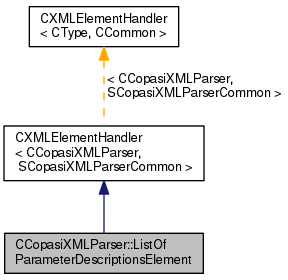 References CCopasiMessage::EXCEPTION, CCopasiXMLParser::mCommon, MCXML, SCopasiXMLParserCommon::mFunctionParameterKeyMap, CExpatTemplate< CExpat >::mParser, and UNKNOWN_ELEMENT.